(Vatican Radio) The Pontifical Commission for the Protection of Minors has released a communiqué at the end of its week-long Plenary Assembly at the Vatican. Dated February 8, 2016, the statement details the focal points and proposals that emerged from the six Working Groups of the session, including a request for Pope Francis to remind all authorities in the Church of the importance of responding directly to victims and survivors who approach them, the finalization of a Universal Day of Prayer, and a penitential liturgy. The communiqué goes on to list upcoming activities of the Commission and partner organizations, including workshops on the legal aspects of the Protection of Minors with a view to to establishing greater transparency around canonical trials, and the development of a website to facilitate sharing of best practices for the protection of minors around the world. Examples of proposals being finalized for Pope Francis’ consideration include: a request for him to remind all authorities in the Church of the importance of responding directly to victims and survivors who approach them; the finalization of a Universal Day of Prayer and a penitential liturgy. In order to fulfill the mission of the Holy Father’s Chirograph for the Institution of the Commission to promote local responsibility, Commission members are actively in contact with numerous Bishops Conferences, and members of the Commission have presented to Religious Conferences and Congregations on safeguarding minors. A meeting is planned in March in Ghana with Secretaries General of the Symposium of Episcopal Conferences of Africa and Madagascar (SECAM), and a second meeting with child protection practitioners drawn from the Association of Member Episcopal Conferences in Eastern Africa (AMECEA) in Tanzania. Commission members are also attending the Anglophone Safeguarding Conference in Rome and the United States National Safe Environment and Victims Assistance Coordinators 2016. In 2017 the Federation of Asian Bishops’ Conferences (FABC) has requested a workshop with Commission members. The Commission likewise welcomes the recent announcement that in a week’s time the first course offering a diploma in the Safeguarding of Minors at the Pontifical Gregorian University will start with 19 participants from four continents: Africa, Europe, America and Asia. EWTN/CNA – February 6 – The Pontifical Commission for the Protection of Children has announced member Peter Saunders will take a leave of absence from his work with the commission. Saunders is founder of the U.K.’s National Association for People Abused in Childhood, which focuses on abuse prevention and support for abuse survivors. A survivor of priestly sexual abuse, Saunders had been a member of the Commission for the Protection of Children since December 2014. He reportedly became increasingly critical of the commission’s process of reforming the Church’s abuse protocol. A Vatican official who requested anonymity told journalists the panel will likely be modeled after a similar panel established for Saunder’s U.K. organization. Saunders was one of 17 members of the commission, which Pope Francis founded to address the abuse crisis. The commission met in Rome this weekend. The C9 members are Cardinals Giuseppe Bertello, president of the Pontifical Commission for Vatican City State; Francisco Javier Errazuria Ossa, archbishop-emeritus of Santigo de Chile; Oswald Gracias, archbishop of Bombay; Reinhard Marx, archbishop of Munich; Laurent Monsengwo Pasinya, archbishop of Kinshasa; Sean Patrick O’Malley OFM Cap, archbishop of Boston; George Pell, prefect of the Secretariat for the Economy; Oscar Andres Rodriguez Maradiaga, SDB, archbishop of Tegucigalpa and Pietro Parolin, secretary of State. Bishop Barros’ appointment angered many and triggered wide protests in Chile because, although he was never formally charged, he was accused of protecting Fr. Fernando Karadima, a prominent priest in Chile whom the Vatican sentenced in 2011 to a life of solitude and prayer after being found guilty of sexually abusing minors in the 1980s and 1990s. The population of Chile is 70 percent Catholic. When the Barros appointment was made public, Catholic faithful objected and tried to get Pope Francis to withdraw the name. His installation went ahead in March but was shortened in nature. The three members of the papal Commission for the Protection of Minors, in comments to various media, said the meeting with Cardinal O’Malley on Sunday “went very well” and they feel assured he will bring their comments to Pope Francis during the C9 meetings. 17) in the Pontifical Council for Promoting the New Evangelization, his Eminence Cardinal Daniel Fernando Sturla Berhouet, Archbishop of Montevideo (Uruguay). Pope Francis is 78 today and I’ve been thinking how much I’d like to see all the goodies – the cakes and cookies and Argentinian specialities and flowers and cards – that have undoubtedly arrived in the Vatican and at the Santa Marta residence for Pope Francis. I think it is a sure bet that the Pope is sharing all of the edibles with the less fortunate – perhaps the homeless and many others who frequent the Dono di Maria run by the Missionaries of Charity, located just a few yards from the left hand colonnade of St. Peter’s Square. I think you will really enjoy the Pope’s catechesis on the family today – a theme he began last week and will develop over quite a period of time. When he speaks, you somehow picture him sitting around your dining room table and telling you about the Holy Family, our Lord and Savior Jesus Christ, a young baby, then a growing lad, then an adult who, only at the age of 30, leaves home to undertake the mission given him by God the Father. I picture Pope Francis as he tells this story, then looks around the table to see our reaction, and then delights as we turn off the lights, bring in a cake with lit candles, sing “Happy Birthday” and cut into it with great joy. How I’d love to slip into the Santa Marta dining room tonight! WASHINGTON (Reuters) – Negotiations for the release of ailing U.S. aid worker Alan Gross lasted for about a year, with significant involvement by the Vatican, U.S. Senator Richard Durbin told Reuters on Wednesday. Durbin said the White House called him on Tuesday night with the news of Gross’ pending release. “I was overjoyed by this news,” Durbin told Reuters by telephone from Joint Base Andrews, a military base outside of Washington, where Gross was expected to land within hours. HAPPY BIRTHDAY, HOLY FATHER! BUON COMPLEANNO! FELIZ CUMPLEAÑOS! Pope Francis turned 78 today, amidst great joy and celebrations in St. Peter’s Square, before and during the weekly general audience and all day long as cards, letters and telegrams arrived from around the world, many of which were read on Vatican Radio. The Holy Father also received 1,760 pounds of chicken meat for the poor, provided by a Spanish producer and the Vatican said the meat would be distributed to soup kitchens. As he toured St. Peter’s Square in the opem jeep under clear, sunny skies (a real change from the weather this past week!) little children stopped to hand him cards and he seemed especially delighted with the hand-drawn greetings. Though Pope Francis made no reference to his birthday during the audience, the monsignori from the Secretariat of State who read the summaries of the papal catechesis in different languages, did wish the Holy Father a very Happy Birthday. R. May the Lord preserve him, give him a long life, make him blessed upon the earth, and may the Lord not hand him over to the power of his enemies. V. May Your hand be upon Your holy servant. R. And upon Your son whom you have anointed. Let us pray. O God, the Pastor and Ruler of all the faithful, look down, in your mercy, upon your servant, Francis, whom you have appointed to preside over your Church; and grant, we beseech you, that both by word and example, he may edify all those under his charge; so that, with the flock entrusted to him, he may arrive at length unto life everlasting. Through Christ our Lord. Amen. Taliban militants in Pakistan killed at least 132 children and 9 staff members at a school in Peshawar on Tuesday, and an Islamist militant killed two people during a siege on a café in Sydney on Monday, and was himself killed by police. Jesus, noted the Pope, stayed in that periphery for over 30 years as narrated by Luke, and many people say today “what a waste, 30 years at home.” There were no miracles or preaching, but just a very normal family life. Pope Francis spoke of the tenderness aroused by the descriptions of Jesus’ life as an adolescent who was raised in an atmosphere of religious devotion, learning from the words and examples of Mary and Joseph, and growing in wisdom, age and grace. As anticipated, the Holy Father has nominated new members of the Commission for the Protection of Minors, chosen from various parts of the world, so as to allow a broad representation of different situations and cultures. The next plenary session of the Commission will take place, as previously stated, in the Vatican on from 6-8 February 2015. Brief information on members of the Commission is given below. 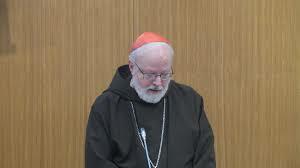 Cardinal Sean O’Malley, OFM Cap. (United States), archbishop of Boston, serves as the president of the Commission and is a member of the Council of Cardinals which advises Pope Francis. Msgr. Robert Oliver (United States) serves as the Secretary of the Commission, following many years in child protection work for the Archdiocese of Boston, the U.S. Conference of Catholic Bishops, and the Congregation for the Doctrine of the Faith as the Promoter of Justice. Rev. Luis Manuel Ali Herrera (Colombia) is the Director of the Department of Psychology, professor of pastoral psychology in the Conciliar Seminary of the Archdiocese of Bogota, and as a parish priest. Dr. Catherine Bonnet (France) is a child psychiatrist, psychotherapist, researcher, and author on child sexual abuse and perinatal violence and neglect. Dr. Gabriel Dy-Liacco (Philippines) is an adult and adolescent psychotherapist and pastoral counsellor for various mental health concerns including of individuals, couples, families and groups, including victims and perpetrators of abuse. Prof. Sheila the Baroness Hollins (England) has worked as a psychiatrist and psychotherapist with children and adults with intellectual disabilities including those who have been sexually abused, and is a life peer in the House of Lords. Bill Kilgallon (New Zealand) is Director of the National Office for Professional Standards of the Catholic Church in New Zealand where he has lived for the last four years. Prior to that he had a long career in social work and health services in the UK. Sr. Kayula Gertrude Lesa, RSC (Zambia) is a development professional, trainer and author on child protection, human trafficking, refugee rights and the right to information. She served as a member of the African Forum for Church Social Teaching (AFCAST). Sr. Hermenegild Makoro, CPS (South Africa) is a member of the Missionary Sisters of the Precious Blood in the diocese of Mathatha in South Africa. She works as a high school teacher and for several years in the diocese as a trainer in pastoral work. After serving as an Associate Secretary General of the Southern African Catholic Bishops Conference for six years, Sr. Hermenegild was appointed as the Secretary General of the SACBC in 2012. Kathleen McCormack (Australia) is a social welfare worker who served as Director of Welfare of Catholic Care in the Diocese of Wollongong for 29 years and held leadership roles in Family Services, Child Protection, Out Of Home Care and Ageing and Disability Services. Dr. Claudio Papale (Italy) is a canon lawyer and a civil lawyer, professor of canon law at the Pontifical Urban University, and an official of the Congregation for the Doctrine of the Faith. Peter Saunders (England) was abused throughout his childhood in Wimbledon, South West London. Later in life, after earning a Business Studies degree, Peter discovered that he was one of millions who had suffered such abuse and who could not find any appropriate support. So he set up NAPAC, the National Association for People Abused in Childhood, for supporting all survivors and for developing greater resources for responding to child abuse. Hon. Hanna Suchocka (Poland) is a professor of constitutional law and specialist in human rights at the University of Poznan, and was formerly Prime Minister of the Republic of Poland and Ambassador of Poland to the Holy See. Dr. Krysten Winter-Green (United States) is a New Zealander with post-graduate degrees in Theology, Human Development, Social Work, Religion and Pastoral Psychology. She has served in dioceses around the world with homeless persons and those living with AIDS. Krysten’s concentration in the areas of child abuse include forensics, assessment and treatment of priest/clergy offenders. Rev. Dr. Humberto Miguel Yanez, SJ (Argentina) is Director of the Department of Moral Theology at the Pontifical Gregorian University, professor of moral theology at the Gregorian and the Pontifical Urban University, and former Director of the Centre of Research and Social Action in Argentina. Rev. Dr. Hans Zollner, SJ (Germany) is President of the Centre for Child Protection of the Pontifical Gregorian University and Director and Professor of the Institute of Psychology. He was Chair of the organising committee for the Symposium “Towards Healing and Renewal” on sexual abuse of minors (February 2012).